Home / Exercise & fitness / Motivation Point / Paige Railey: 2X U.S. Olympian Shares Her Sailing Journey So Far! 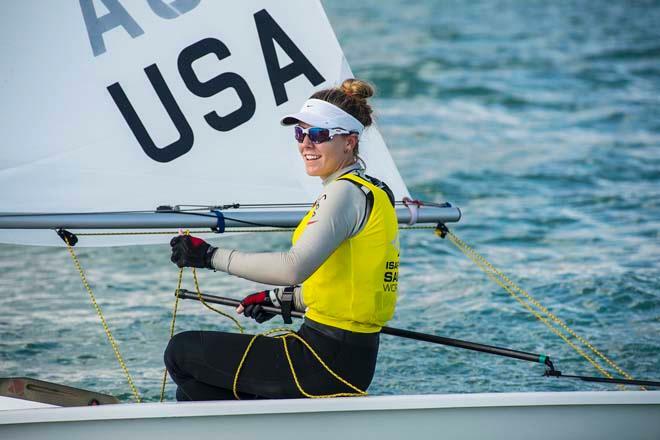 Paige Railey (Clearwater, Fla.) dedicated herself to competitive sailing at an early age, inspired and encouraged by her older brother, Beijing 2008 Olympic silver medalist Zach Railey (Clearwater, Fla.). As a teenager, Railey won the 2006 Laser Radial World Championship, which propelled her to international recognition in the sport, and she garnered Rolex World Sailor of the Year and US Sailing Rolex Yachtswoman of the Year honors for her impressive results. Railey narrowly missed Olympic selection to Beijing 2008 after a close battle with teammate Anna Tunnicliffe (Pittsburgh, Penn. ), who went on to win gold in China. Railey bounced back to make the team for London 2012, and looked strong heading into the Games after a 3rd place finish at the 2011 World Championship. Railey finished 8th at the Olympic regatta held in Weymouth, UK, and immediately vowed to return stronger and faster for her third full-time campaign. 2012, 8th, Laser Radial, 2012 Olympic Games, Weymouth & Portland, U.K.